Kara chutney!!! My all time fav . I love this blazing chutney with dosa in comparing to idly.. This is a Chettinad recipe and very easy to prepare. Also we can refrigerate to use for the next day. This chutney always gives helping hand for my breakfast during busy weekdays. I hope this hot and tangy chutney tingle your taste buds…. Peel off shallots and garlic and chop the tomatoes roughly. 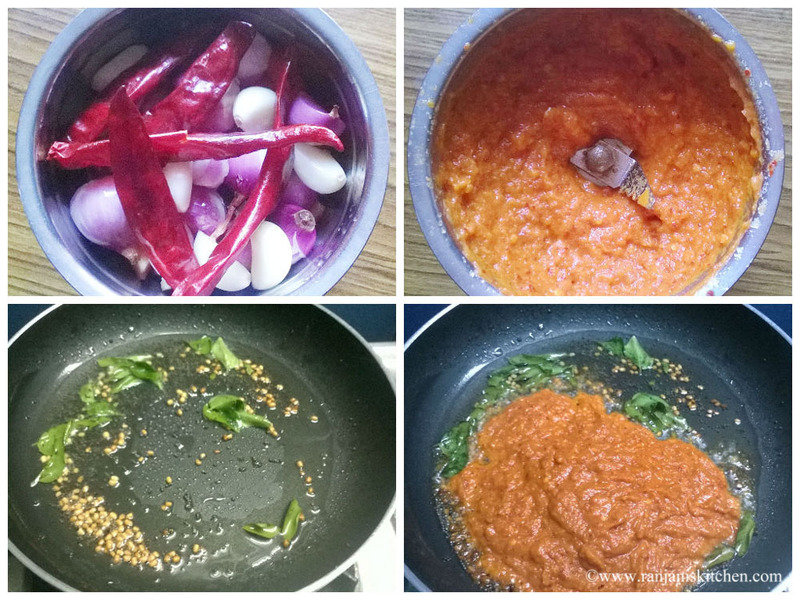 In a blender, grind shallots, garlic, tomatoes and red chillies together. Grind to a smooth paste. Then heat a pan, add gingelly oil, once it heated, add mustard and allow it to splutter.Then add Urad dal and curry leaves. Allow the urad dal to turn golden color. Now add the grinded paste and add some water. No need of adding more water. Just ¼ cup is enough.Then add salt, allow it to boil for 3 mins. Once the chutney leaves oil, switch off the stove. 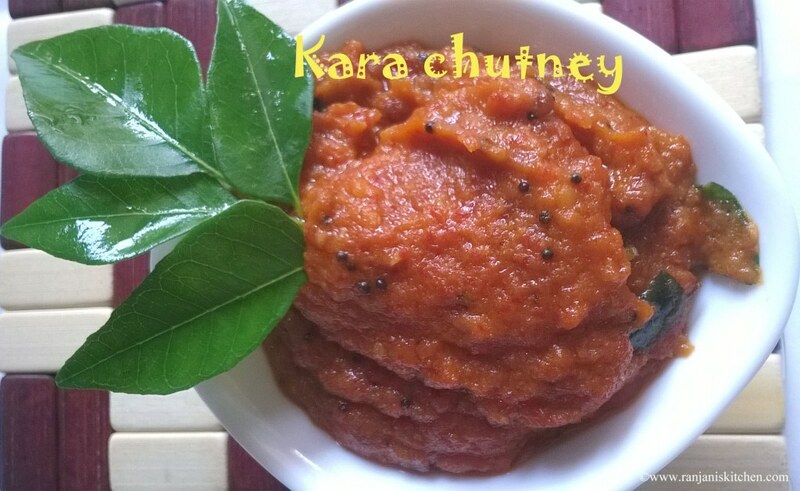 Serve this hot and spicy kara chutney with dosa or idli. Instead of tomato, you can add little tamarind pulp also for tanginess. Adjust the red chillies for your spice level. Use Kashmiri red chillies which will give nice red color. Most important thing, this chutney is best in making with gingelly oil.